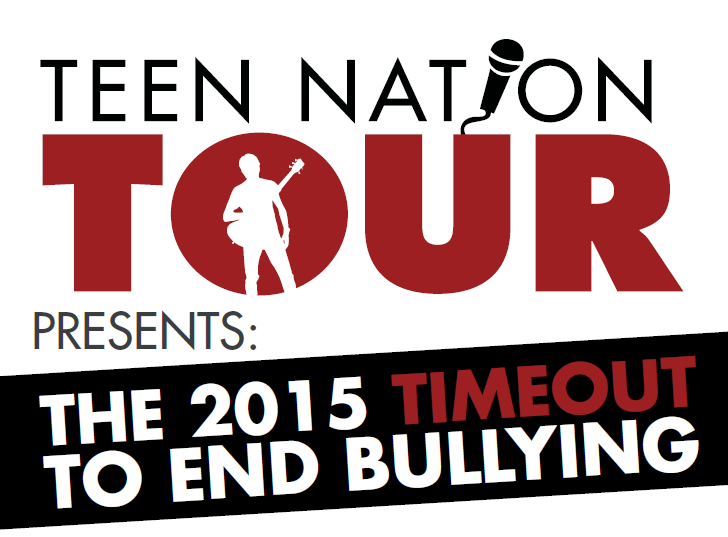 Popular Anti-Bullying ‘Teen Nation Tour’ Set To Hit Road Again In 2015! In 2009, a man named Lee Wilson came face-to-face with the harshness of bullying when his own son faced a situation with a bully that turned physical. With this happening, Mr. Wilson stepped up, this experience pulling him to create a community program that needed to make kids and teens aware of the bullying within their own communities, including ways to help prevent it. Thus, the Teen Nation Tour was born! The Teen Nation Tour is a peer-to-peer community service program that prides itself on educating and entertaining youth about bullying in a way students can relate and that is through the power of music. Aiming toward schools, this tour features young music artists from across the country who are known for their top music hits appearing on radio shows, YouTube, television and more. Not only do these amazing young people take the time to share their experiences and knowledge of bullying, they also perform concerts at different venues. They recently ended their 2014 Tour in December. Now, the Teen Nation Tour will be ready to hit the pavement starting this January 2015 coming to a city near you with their 2015 Teen Nation “”Timeout” To End Bullying” Campaign. Their plans are all set to visit over 20,000 kids in schools, Boys & Girls Clubs, children’s hospital and other youth organizations. An amazing part of this tour is where Teen Nation will choose a nominated student in each city they visit to award the Teen Excellence award. The tour plans begin on January 12th making stops in Dallas, Texas; San Antonio, Texas and Austin, Texas then picking back up in the fall heading up the west coast to Boise, Idaho; Salt Lake City, Utah; Las Vegas, Nevada; Phoenix, Arizona and so many more wonderful places! Many performers will be joining the Tour this year, including the face of the Teen Nation Tour and headliner, JRyan. Others joining in on this fantastic campaign are Dylan Rey, Simply Rayne, Aingea Venuto, Celeste Kellogg, Jared Salas, RebelMann, Faith Marie, Jeremiah Jay, Savannah Garza, Rudi Alizah, Colton Jacobson, Kaylin Roberson and Delaney Ann! It’s truly amazing what Teen Nation Tour has accomplished so far in the last few years for many communities. They began with only with a few cities back in 2012, but Teen Nation Tour has grown in 2014 to reach more than half a million people — more than 330 schools and venues in over 40 cities in 22 states! And this year, they’re ready to reach even further! Perhaps one day, every community in the country will join them in the fight against bullying; helping to raise awareness and learning prevention methods. Did you know that bullying has become one of the greatest widespread issues children, teens and young adults face a lot of these days? What some people don’t know is that it can happen anywhere, not only in school or on the bus. Bullying has no limitations or restrictions as it can range from simple teasing and name-calling to a severe physical altercation to a nasty text message you receive on your phone. Verbal – insults, mean jokes, teasing, etc. Physical – hitting, kicking, physical attack upon a person, etc. Indirect – cruel rumors, purposeful exclusion from group/activities, etc. Cyberbullying – an electronic medium-type of bullying which can consist of text messages, emails, chatrooms, IMs, etc. Also fits in with “Indirect” bullying. If you or someone you know has experienced any form of bullying, help make a stand and say “TIMEOUT!” as it’s time to stop! For more information on the amazing Teen Nation Tour, please head to www.TeenNationTour.org! 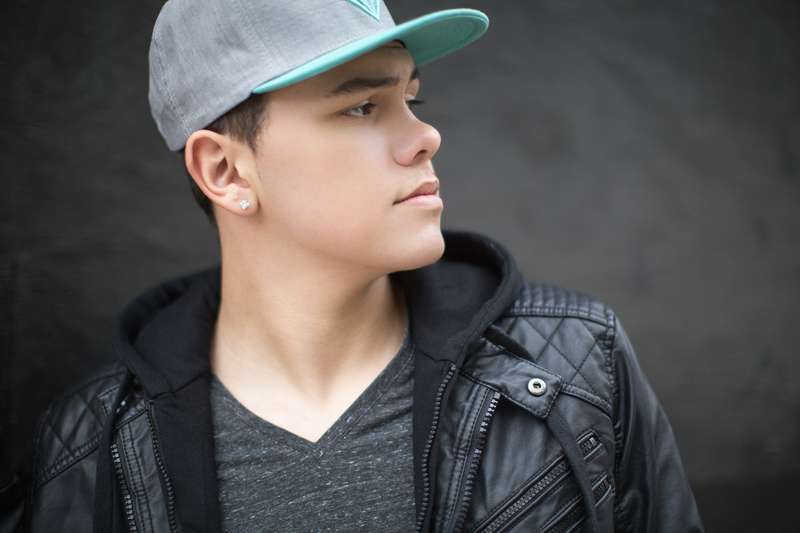 Rising Music Sensation, Dylan Rey, Selected To Join Teen Nation Anti-Bullying Tour! You don’t have to look very hard in today’s society to see just how serious bullying has become in our schools and communities. According to statistics reported recently, nearly 30 percent of students are either bullies or victims of bullying, and 160,000 kids stay home from school every day because of fear of bullying. This comes as no surprise to Dylan Rey, Dallas native who has personally felt the wrath of bullies himself in school. Dylan Rey is a young rising star who is grateful for his fame and success but has never forgotten how blessed he was to be able to overcome those bullies and learn to believe in himself and his talents and gain the strength to make these dreams come true! Dylan Rey has a big year ahead for 2015. Not only will he be joining the Teen Nation Tour ,that just wrapped up their 2014 tour after visiting over 1.3 million teens in schools across the U.S. Dylan Rey will also be releasing his brand new single, Gray- being produced by Music A&R and multiple platinum, double Grammy Music Producer , Andrew Lane. Dylan also recently performed at the Ryan Seacrest studios at the Dallas Children’s Hospital and has been selected by Make-a-Wish to help one young girl with big music dreams come true! In addition to all of this Dylan will be shooting his first music video in LA January 5th for his song, “She Gets Me”. Also while in LA. Dylan will be opening for Diggy Simmons, Jacob Latimore, and Trevor Jackson from Disney and hosted by Zendaya from Disney Channel. Dylan Rey will also be performing for the first time in Dubai at the Red Fest Music festival! Dylan Rey will join the tour January 19th when the tour kicks off in his hometown of Dallas following that stop he will then he will head to in the Houston, San Antonio, Salt Lake, Las Vegas, Phoenix and many more cities. Dylan looks forward to being a role model to other teens out there not just with bullying but helping others become more understanding and compassionate of others, this is something that is especially close to Dylan’s heart. Dylan Rey is already being called the next Bruno Mars meets Michael Buble with dimples by industry experts. Dylan Rey has recently wrapped up performances in Austin, Dallas and performed at the Nascar Bank of America 500 fan zone in Charlotte, NC. To learn more about Teen Nation Tour, visit their website at www.teennationtour.com. Benjamin Stockham Hollywood Today Live Interview — Watch Here! Benjamin Stockham from “About a Boy” headed into Hollywood for a live in-studio interview at Hollywood Today Live. While being interviewed Benjamin talked about what it’s like on set of about a boy, anti-bullying, and he also talked about how he loves to draw. Be sure to watch the full interview below! Chloe Moretz Wants YOU To Help STOMP OUT BULLYING — See Her Anti-Bullying Message! All of us know of at least one person who has been bullied, are being bullied or may be a bully themselves. And all of it needs to stop! In the movie, Carrie, young actress Chloe Grace Moretz plays a bullied around high school student. For Chloe, the subject of bullying hits home as she understands about the bullying issues personally. 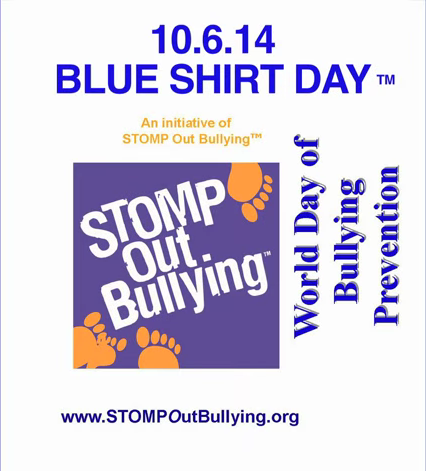 The movie star has joined up with STOMP Out Bullying for Blue Shirt Day on October 6th, 2014, the World Day of Bullying Prevention. Check out Chloe’s anti-bullying message to you below. Will you help spread awareness? 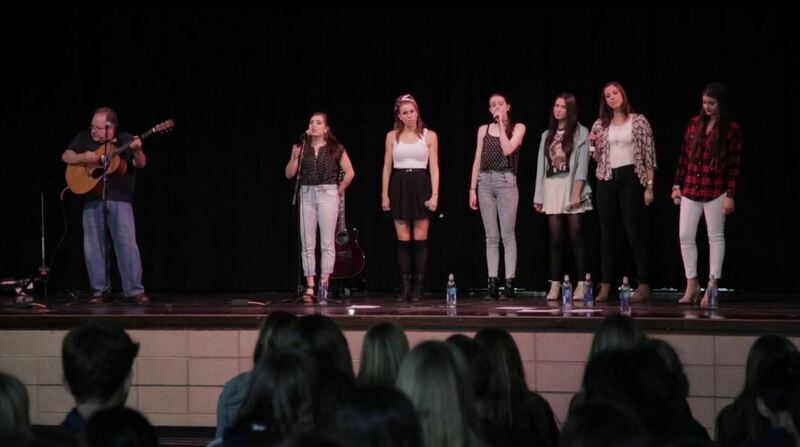 Cimorelli Sings Original Song “What Would You Do” To Stand Up Against Bullying! The Cimorelli girls have teamed up to take a stand against bullying and AwesomenessTV has been following their journey of their new anti-bullying campaign. We already got to see the first two episodes and in the second one, the girls rehearsed an original song that a group of four students wrote after winning the Rocket21 Dream Big To Stop Bullying Competition. Not only were they the winners but they even get to hear Cimorelli sing the song they put together called “What Would You Do” which is all about putting an end to bullying. Check out the girls from Cimorelli singing “What Would You Do” by watching the video below and let us know what you think of the song by commenting! 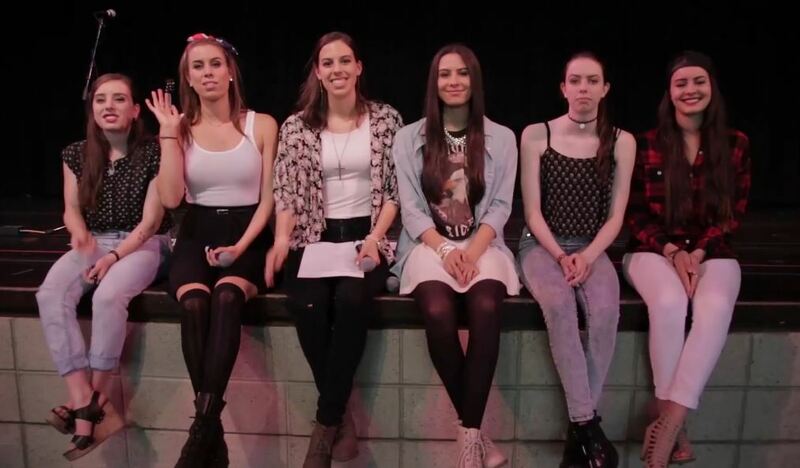 Cimorelli Rehearses An Original Anti-Bullying Song With Fans! The girls of Cimorelli have teamed up and decided to take a stand against bullying. In a new episode of their new web series with Awesomeness TV, we get to see Cimorelli rehearse an original song about anti-bullying that a group of four students wrote with the help of their teacher and classmates. The group of four boys were the winners of the Rocket21 Dream Big to Stop Bulling Competition in the Middle School teams category. After writing the song, Cimorelli joined them in singing it. Check out the journey of the four students creating the song to Cimorelli joining them to sing it by watching the video below and let us know what you think by commenting! TI Exclusive: Tara Nicole Azarian Talks Bullying At Galvanized Souls Event — Watch Here!! Tara Nicole Azarian was in attendance at Galvanized Souls event on July 17th. The event was to promote Galvanized Souls new single “Carry Out” and to raise bullying awareness. Tara took some time to talk with TeenInfoNet’s Crystal Ng about her films and also about how she was bullied for 2 years. Be sure you check out Tara’s website for her films at http://www.frontporchfilm.com/ and watch our exclusive interview with her below! TI Exclusive: Interview With Zach Callison At The Stop Bullying Event — Watch Here!! Zach Callison stopped to chat with our reporter Crystal Ng at Galvanized Souls Stop Bullying Event on June 17th. While chatting with Crystal Zach talked about projects he is currently working on, voice overs, and Galvanized Souls. Be sure to check out our exclusive interview with Zach from Cartoon Networks Steven Universe below! TI Exclusive: Galvanized Souls Launch “Carry On” Video Event — Photos Here!! Galvanized Souls celebrated the release of their new music video “Carry On” starring Facebook sensation Colin Cunningham of Colin’s Friends to bring awareness to help stop bullying in schools. Our reporter Crystal Ng was in attendance at the event on June 17th at Mack Sennett Studios. Major anti-bullying organizations such as PACER, Not In Our Schools, I am Bully Free, Not the Target, Champions Against Bullying and Beyond Bullies all supported the event. The event ended with a performance from the talented Galvanized Souls. Below you can view our exclusive images from the event!